Me and Décolletés are in love right now. I always have fashion phases, and I am sure it happens to you as well. And right now I am into wearing shirts, unbuttoned just enough to show a little skin and keep it chic. 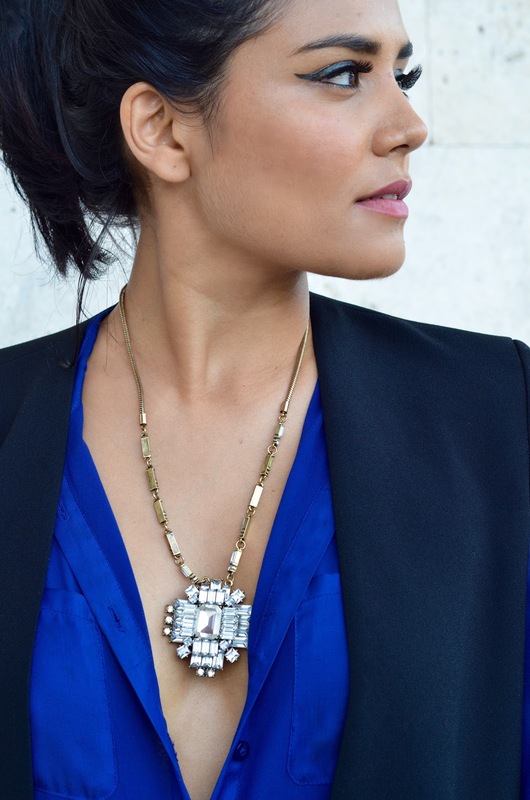 I added this necklace from my shining armour, a brand I adore for their amazing quality jewelry. I am wearing another necklace from them ==> here if you want to check it out. This could be a perfect New Years Eve outfit, right amount of sparkles, chic and comfortable.